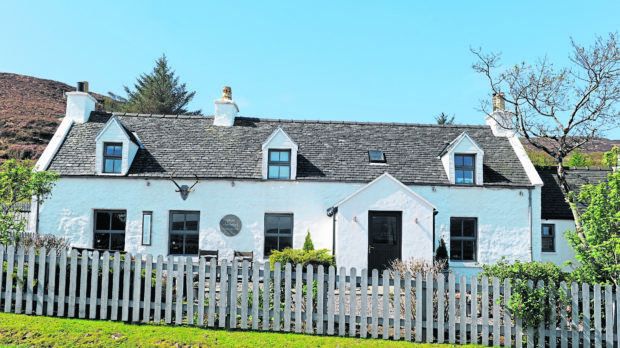 Its food and hospitality are no stranger to attracting major accolades – and now, The Three Chimneys on Skye has picked up even more praise after being named as one of five restaurants in the world worth travelling for by the Wall Street Journal. The American newspaper attracts an international audience of some 2 million on a daily basis and has named The Three Chimneys as the only UK restaurant on the list of five dining experiences in the world worth planning a trip around. Within the article, writer Margot Dougherty said: “When nothing but Isle of Muck red-legged partridge will do, Three Chimneys is your go-to. The restaurant, which was opened in 1985 by husband and wife duo Shirley and Eddie Spear, has grown into one of the nation’s most iconic dining experiences, serving up some of the best produce the west coast has to offer. Situated in a traditional Skye croft house at Colbost near Dunvegan, the venue is able to offer accommodation to guests in its six bedrooms at its adjacent House Over-By and has built its reputation on its remote location, utilising this as its key selling point. Shirley Spear, owner at The Three Chimneys, said: “This is a fantastic accolade, not only for The Three Chimneys, but for Skye as a whole. Earlier this year The Three Chimneys was named as one of the UK’s best restaurants with rooms at the Good Hotel Guide Editor’s Choice 2019 awards building on a successful 12 months for the restaurant, having retained three AA Rosettes for the 19th year in a row. It was also named UK restaurant of the year in the 2018 Waitrose Good Food Guide Editor’s Awards and the CIS Excellence Awards.